Welcome to Elite Facility Solutions, your premier source for professional handyman & drain cleaning services in Northwest AR, Southwest MO and the surrounding areas! We can provide affordable, high-quality assistance for many different types of repairs and maintenance; just tell us where and what and we'll devise a solution for you. 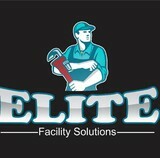 Whatever your home needs to be repaired, Elite Facility Solutions can do it efficiently and to the highest quality. 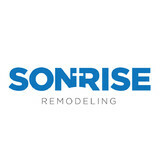 Our talented team of professionals is well-versed in any and all handyman services you could need. 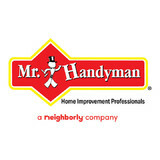 Hello my name is Robert Saunders, a Fort Smith native, serving your handyman needs for over 25 years. When you call me to have work done, you will talk to me on the phone. I will be the one to show up and give you a fair and honest estimate, and I will be the one to do the actual work. Unlike other tradesmen who give an estimate and send a crew of unqualified men plucked off a street corner to do the work, or don’t return your calls after they take a deposit and disappear, I believe that you deserve a real handyman. And in the rare event there is a problem with anything that I do, I will make it right! American Home & Property Maintenance L.L.C. 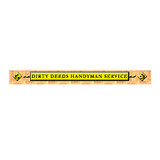 Handyman with a wide range of services offered. Flexible business hours to fit your schedule. Servicing a 45 mile radius of Fayetteville, AR. RTH Handyman Services prides itself on being the go-to choice for clients looking for Residential Handyman, Remodeling and Decks and Patios services. 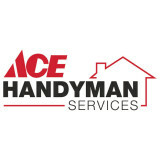 What can a local Fayetteville handyman do? While home handyman services in Fayetteville, AR usually cover most of these things, sometimes it’s better to hire a specialized professional so do certain jobs, especially if it’s related to major plumbing or electrical fixes. Here are some related professionals and vendors to complement the work of handyman: Heating & Cooling Sales & Repair, Plumbers, Electricians, Roofing & Gutters. Find a Fayetteville handyman on Houzz. Narrow your search in the Professionals section of the website to local handyman servicesin Fayetteville, AR and read reviews and ratings to find one that fits your needs.